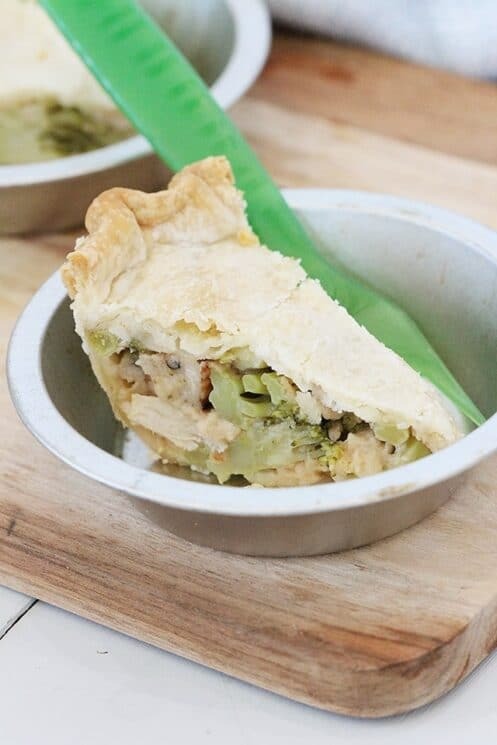 Make-ahead Broccoli and Chicken Pot Pie! Steps to freeze and bake later! A dinner pie, or meat pie, has been one of those dinner ideas that have been around forever. There are several ways to make pot pie for dinner for your family, and I’ve honestly tried most of them. I call this version Broccoli Chicken Pot Pie, and it’s pretty amazing. 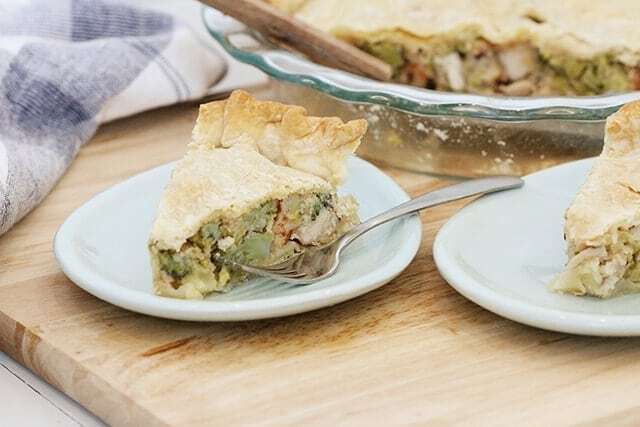 You could really add a variety of veggies to chicken pot pie, but broccoli makes a filling and nutritiously dense addition. Make the filling for the chicken pot pie. Cool filling in the fridge before assembling. Make the crust for the chicken pot pie. Assemble pie into a pie plate. 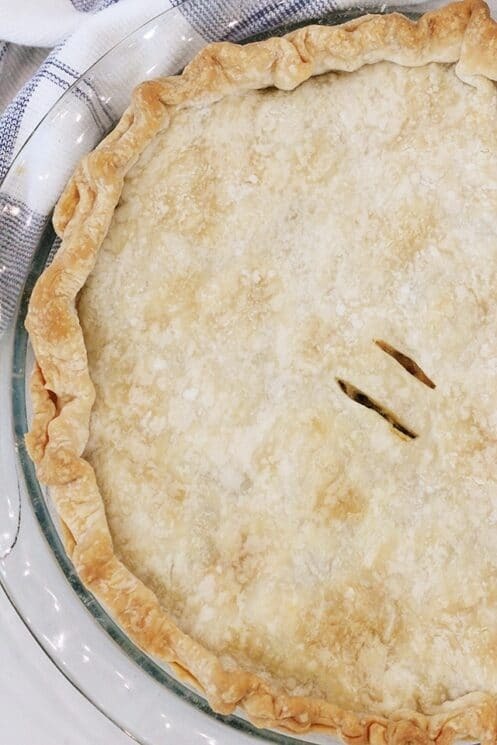 Cover the pie completely with foil or freezer safe paper. Place entire pie in a 2 gallon freezer safe bag if you want to keep it for 3-4 months without freezer burn. Yes, they have 2 gallon size bags, which are perfect for pies! 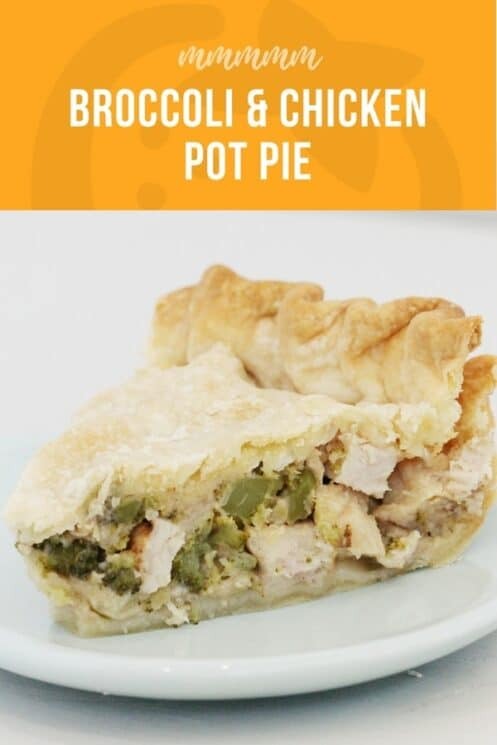 When you are ready to make and eat your chicken pot pie, no need to defrost! Simply bake at the regular temperature your chicken pot pie is intended for and add 20 minutes to the baking time. If you are gifting your pie, print the recipe for them and place it inside the 2 gallon bag. 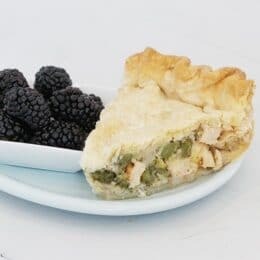 If you chose to cook the entire pie before freezing, you can decrease the cooking time to just reheat it. However, in my experience, the crust tastes better when it only goes through the oven once. And when you are re-heating it from frozen, it takes so long anyway, you might as well just cook the whole pie! 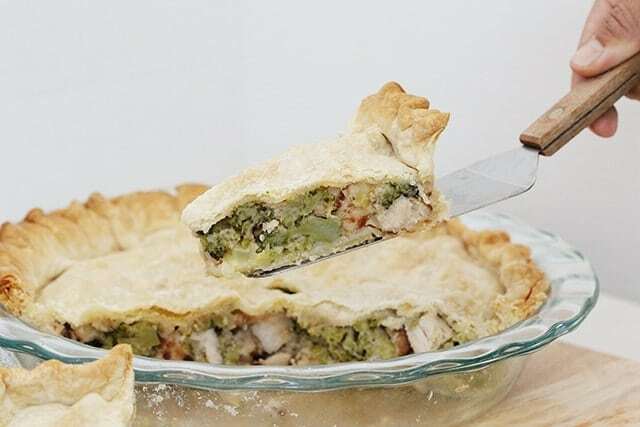 So, next time you make this chicken pot pie with broccoli, make two and freeze the second! Let us know what your family thinks of it! Preheat oven to 400 degrees F. Add one pie crust to a pie pan. Shred chicken and cut broccoli into bite-sized florets; set aside. Melt butter in a saucepan over medium heat. Whisk while adding flour and continue to mix until bubbly; 1-2 minutes. Continuing to whisk, add milk, chicken broth, and salt. Whisk until smooth. Grate cheese and add to pan. Turn heat to low and stir until cheese has melted. Once cheese has melted, add chicken and broccoli; stir to combine. Pour into pie crust and top with second pie crust. Crimp edges. Cut a few slits in the top to allow for steam to escape. Bake in preheated oven for 30-45 minutes. Allow pie to cool slightly before serving. His sounds so tasty! For the broccoli that goes in raw, correct? Or do you steam that first? Thanks!